Iâ€™ve read quite a few of the B-School Blogs in order to figure out which ones I liked the best and which model to follow for my own. My favorites are the ones that offer specific travel advice that I can use and that can help students plan a for study abroad semester. As such, I will try to offer my best advice about travel in Europe and living and studying in The Hague and leave the storytelling up to the more interesting and accomplished writers. As a marketing student, some of my business observations will probably come through, as well. I bought a big backpack both for my trips in Europe and hiking when I get home. It was nice to have a big bag to get over here, but itâ€™s been useless ever since. Most of my trips are for 5 days or less, so a 90L pack is way too large (at least for a guy). Even the budget airlines allow a carry-on that measures around 55X35X20 cm and can weigh up to 10kg, so a soft, 4 euro duffel is what Iâ€™ve been using. It can cram into most spaces and 5 days of clothes and even a laptop and books, chargers, etc. can easily fit into those size constraints. In the summer, I expect that my bag will be more useful on longer excursions, though. As far as clothing goes, it can be tricky. Being here from January to July ensures that I will see the entire range of weather, from really cold to mildly warm. However, I brought clothes for all situations, planning to spend time in Italy, Spain, Greece, and Portugal. I think it is important to remember, though, that even if you plan on being an ultimate traveler, you will probably still spend 75% of your time in the Netherlands while school is in session. I am averaging 1 or 2 inter-country trips per month and I think I am traveling about as much as anyone else here. Trips within the Netherlands are much more frequent, but weather doesnâ€™t change too much within the country. 75% of the time in a cool climate- keep that in mind. Though it may be tough, I would recommend to leave your fashion at home. The basics will suffice, and the Dutch arenâ€™t known for being particularly snooty or fashionable themselves. Packing the most practical items (Jeans, walking shoes, and a sturdy jacket) will save you on luggage when flying and allow you to do some shopping here and take some things home. That being said, Iâ€™ve yet to see a pair of sweatpants or flip-flops and socks out in public and there are a couple clubs that prefer a collar and dark jeans. 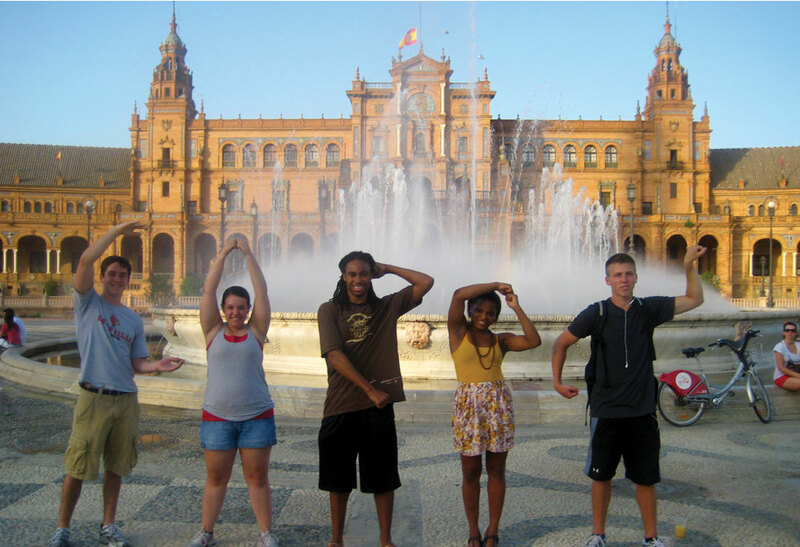 Besides, your focus while studying abroad is less about looking great than having a great time.